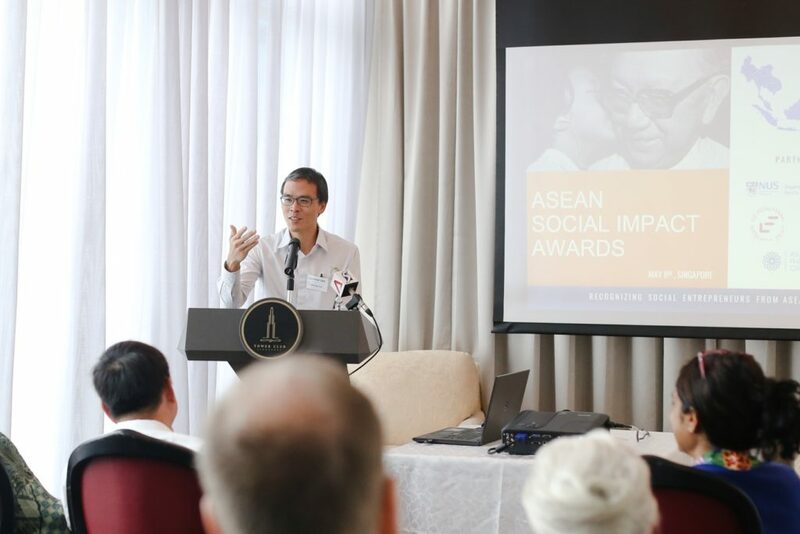 The ASEAN Social Impact Award was launched on Monday 8 May 2017, by the NUS Department of Social Work in partnership with the Ee Peng Liang Memorial Fund, Asia Philanthropy Circle and Ashoka Singapore. The Award aims to encourage creative and innovative ways of solving social issues by recognising initiatives from the citizen sector that have created positive social impact in their communities in ASEAN countries. Each year, the Award will recognise 5 innovations which have demonstrated strengths in four criteria – social impact, innovation, sustainability and entrepreneurial quality – within the ASEAN region. By connecting philanthropists to entrepreneurs working to create social change in the region, the Award also seeks to continue Dr. Ee Peng Liang’s legacy of giving in Singapore. 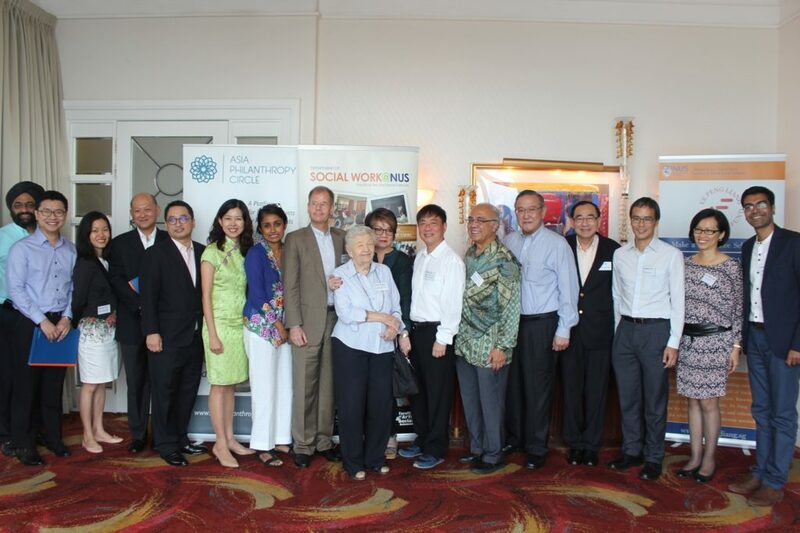 Dr. Ee, who is known and loved as the “father of charity” in Singapore, was a founding member and President of the Singapore Council of Social Service and Community Chest. Our Chairman, Stanley Tan, who is also Chairman of the Award, spoke fondly of how Dr. Ee not only gave generously, but also inspired others around him, Stanley included, to give happily – “a gift that was used wisely,” he quipped. The Award will thus be given to individuals who are similarly working to inspire others to be social change agents. The Award’s aim to encourage creative and innovative solutions to ASEAN’s social problems aligns closely with APC’s spirit of exchange, coordination and collaboration among philanthropists in Asia. APC CEO Laurence Lien mused in his address, “Many philanthropists are working singly, and while they can contribute, their efforts will not move the needle significantly.” He then mentioned the mentioned the 10 joint projects APC currently has on the ground, spanning areas from education and aged care, to nutrition and anti-radicalism, which exemplify this spirit. He hopes that the Award will go a long way to recognise those working to improve the livelihoods of communities in ASEAN. Ms. Sumitra Pasupathy, Director of Ashoka Singapore also spoke at launch of the Award, which she anticipates will send an incredibly strong signal to ASEAN to support changemakers creating impact in new and novel ways. According to her, the Award recognises the inextricability of communal and community engagement within Asia’s culture and history. The first cohort of Award winners will be announced in the last quarter of 2017. The committee will accept nominations and applications from now till 15 July 2017. The Award ceremony is slated to take place in February 2018. Each award ceremony will recognise a cohort of 5 innovations from and within the ASEAN region. CEO Laurence Lien speaking at the Award Launch event at Tower Club, Singapore.